So, for me, I live by 1 main “Life Lesson Quote.” It is “Don’t worry about failure worry about the chances you miss when you don’t even try.” This quote means to not worry whether you fail or you succeed, but to worry about the opportunity and chances you miss when you don’t even try. To me, it applies in literary everything I do. If I have an opportunity to do something, and I’m not sure whether or not to do it, I remember this quote, and I give it a try because I wouldn’t have known what would have happened if I didn’t try. 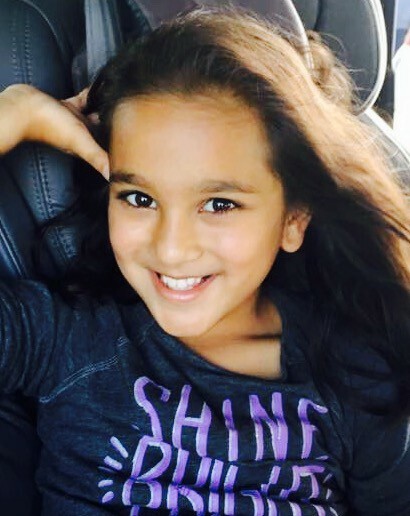 I had the pleasure of interviewing Samaira Mehta, the 10 year old inventor of CoderBunnyz — a Comprehensive Coding Board Game. The game teaches you all the concepts you need in computer programming. 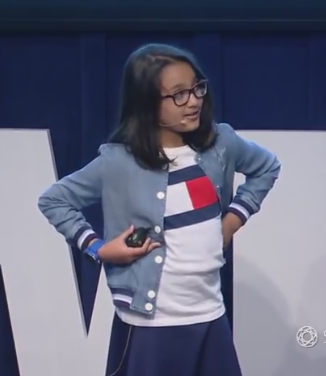 Samaira has done over 50 workshops, teaching over 2000 kids.These workshops are at places like libraries schools, tech events, and companies like Google, Microsoft, Intel. Samaira has gotten a letter from The White House in 2016, won $2500 for her company, gotten recognized by the Santa Clara Board of Education, won the Youth Entrepreneur award, been covered in over 5 continents, 11 countries, by media companies like Sony, Mercury News, NBC, and many others, too. 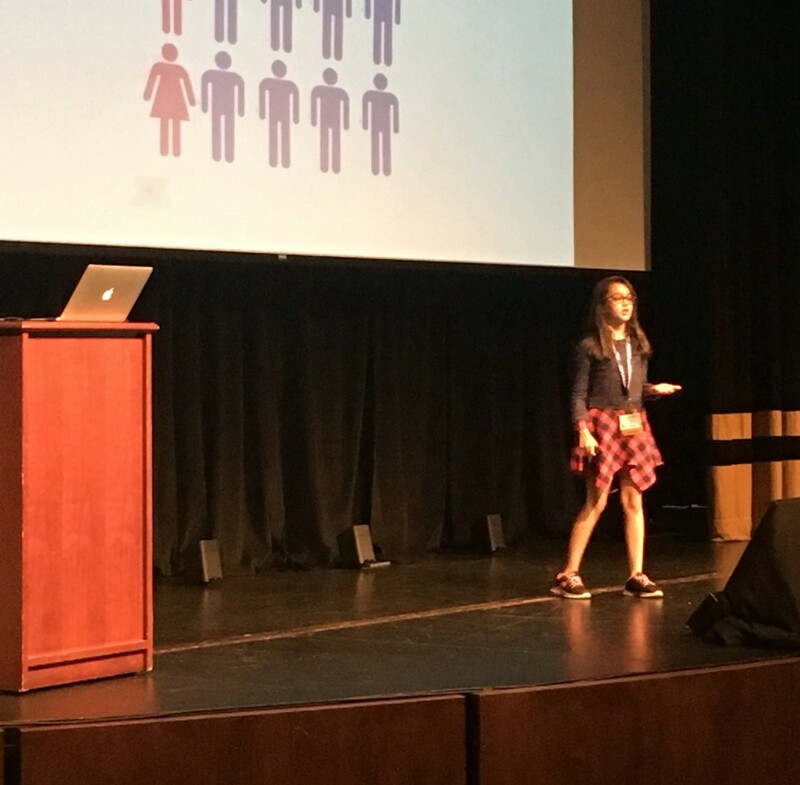 Speaker at 11 conferences, her STEM game is now used in over 106 schools. I would probably say that my love for computer programming and board game got me into what I am doing now. I always loved board games and I always loved computer programming, but I didn’t like the fact that I had to both of them separately, so I thought if I can’t bring board game onto a computer coding screen, so why not bring the computer coding to a board game. And that’s when I got the idea to create a coding board game, and that’s what I’m doing today. I think the most interesting story that’s happened since I started my company was when I was doing a workshop, and the day before I looked at the sign-up sheet to see how many people signed up, and I saw 2 sign up sheet were filled instead of 1. And so I told my dad, and he contacted the librarian, and it turned out they accidentally put up 2 sign up sheets instead of one, and so the next day, so many people came that we couldn’t accommodate all of them and we had to pair kids up, and some didn’t get to play. But in the end, it was all great, and everyone had a fun time! I would say the funniest mistake I made when I was first starting was when I was so close to bringing my game into the market, then my parents gave me the idea to playtest it on a few kids. I was so excited to bring my game early to the market and it sounds so funny that I missed such an important point. I thought the suggestion of playtesting the game with kids was great, and so from there I started doing workshops, at various places I started at libraries, then I did them at school, then companies, then maker fairs and trade fairs, and so one. After doing all these workshops I got so much feedback, that helped me make my product the very best. So the mistake was that I hadn’t tried my product on people, and the lesson I learned from that is to take other people’s feedback, because different opinions are helpful in making a product successful. I wouldn’t have made it to top 5 coding board games, if I haven’t done that. Isn’t it funny that sometimes we do miss out on important and simple points? I reason I think my company/board game stands out is because it teaches you all the concepts you will ever need in computer programming unlike any other board game in the market. Once someone told me that the main reason she likes Coderbunnyz is that it grows with your age. 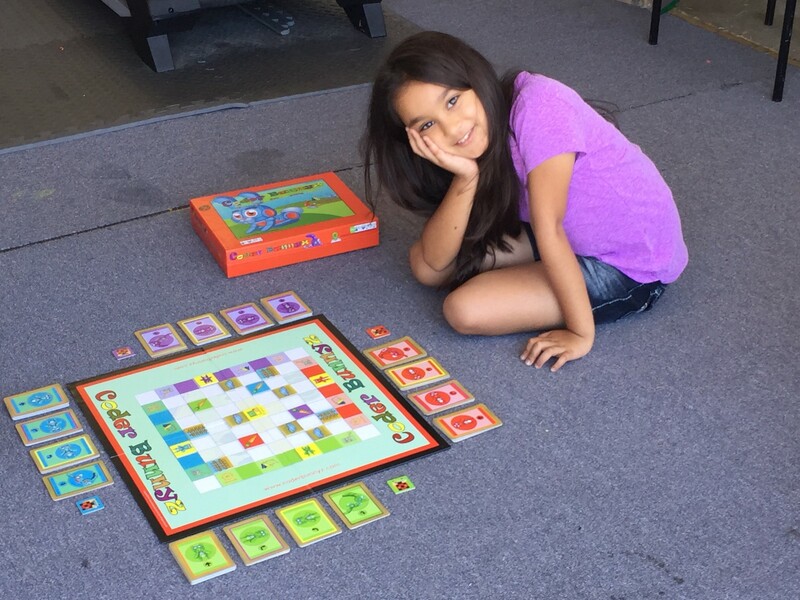 She then said that you can buy other coding board games but after playing it once or twice with your kid, it will just sit on your shelf, because you’ve already played all the levels. While on the other hand, you can buy Coderbunnyz, so when your child is 4 or 5 you can play the very basic level, then once he/she is 6 you can play a little more advanced, and so on. In Fact, Coderbunnyz has 13 levels to play with your child, so you can have fun and learn code longer. For people in the board game industry, my tip would be to find the current hot topic and make your board game on that. When I made CoderBunnyz the hot topic was coding non-digitally, which was a perfect topic to make a board game on. Also, if the current hot topic is not something you enjoy, don’t make a board game on that, make a board game on something you admire or enjoy doing. Guess what the most important topic being talked about? AI, yes you guess it right. [Shh..] I am working on something AI! A lot of people have helped me during my journey, and I am very thankful to all of them. But 4 of those people really stood out for me: my mom (Monica Mehta), my dad (Rakesh Mehta), Lorin Wilson, and Karthi Gopalan. My mom and dad were just always there for me, they always supported me (even on the craziest ideas)! They always believed in me and told me to never give up. Lorin Wilson is a certified CTO but is currently an Educator/Teacher. He helped me in so many ways. He helped me edit my presentations, gave me tips on how to be a better public speaker, gave me honest feedback on my game by playing it with his class, and many more ways, I cannot express how thankful I am for his help, and I’m glad to have him as my mentor! Then there’s Karthi. She has helped me since day one and has always given me her honest opinion on things. She would stop her other work just to help me out, and I’m so lucky to have her as my mentor! Nothing I have accomplished would have been possible without the amazing help from these amazing people. And did I tell you my AI game is coming out soon? Yes, it’s called CoderMindz and is a breakthrough game that teaches Artificial Intelligence(AI) concepts. And the credit and inspiration to making game goes to my loving younger brother Aadit! I try to help others with the money I earn. In particular, I try to help the homeless. I am starting to work with an organization that helps end homelessness called, “PATH — People Assisting the Homeless” I want to donate 5% of my profit to this organization, but very recently I held a lemonade stand in front of my house, and in just 2 hours I raised $119.55, and I donated all this money to PATH. Beside that, by doing workshops, I spread the love of coding. I bring goodness to the world by this because coding is very important nowadays, the world runs on coding and computer science. Because the world runs on coding and computer science, it means there are a lot of jobs available in this field. If kids learn computer science at an early age, it will help them get a job when they get older. If they get a job that means they will have enough money to support a family, and live a happy life. -This one is like the quote, “Don’t worry about failure worry about the chances you miss when you don’t even try.” So try something new even when your not sure about the outcome in a tough situation, because you would have never known what would have happened if you hadn’t tried. 3. Failure is the key to success. If you dare to fail, you dare to succeed. -This one is pretty much self-explanatory but is very important. The more amount of times you fail, the more amount of times you will succeed. Almost no one gets success their first time, but as long as you keep on trying, and never lose hope, you will succeed. For example, Edison failed over 300 times before inventing the light bulb, but now it’s one of the most used inventions of all times. 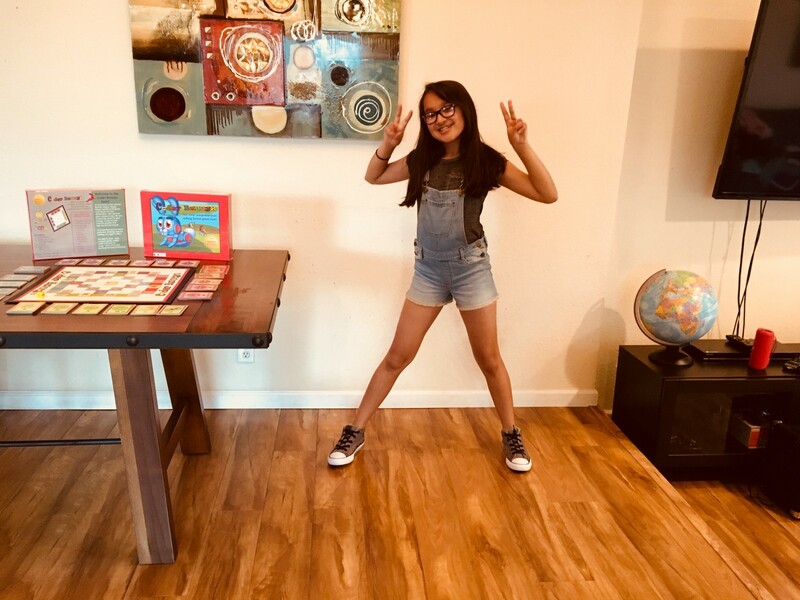 -When I was in the process of creating my first board game (Coderbunnyz), I thought how can I go to school, do extracurricular activities, and still run a company? Then I thought, I enjoy doing these things so if I enjoy doing something then I can definitely find time for it. So, time expands to accommodate your passions and priorities. -If you don’t enjoy doing something, but your making profit out of it, don’t do it. It will eventually go out of business because you are not dedicated to it. Instead, do something you love. That will help you go far because when you put your heart and mind into something, you will succeed. I have already started an initiative called, “Yes, One Billion Kids can Code” where I match people who are willing to donate Coderbunnyz boxes with schools, libraries, and individual people who can’t afford a CoderBunnyz, and I would like to expand that. No problem! These were very powerful questions, I enjoyed talking with you.